This chapter reviews the existing literature on Cuban Americans in the U.S., their circumstances of migration, demographic status, health and mental health status, and interventions in health and mental health. 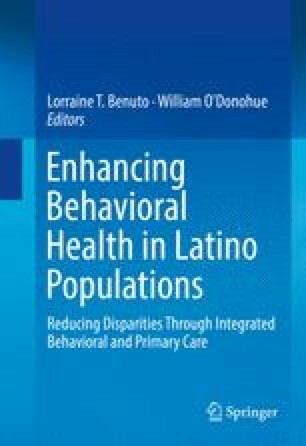 Recognizing the limited literature focusing specifically on Cuban Americans, the chapter also brings in useful frameworks from broader Latino health/mental health and cultural competence perspectives, highlighting historically and contextually informed intergenerational life-course perspectives that place family at the center. This chapter argues for, and models, cultivation of clinician reflexivity, defined as systematic assessment of personal and professional experiences and assumptions as these impact knowledge. Reflexivity is required for both assessing personal assumptions as they inform patient care specifically with Cuban American patients and their families, and in assessing literatures which may contain biases regarding approaches to health care and what constitutes quality health care in U.S. and global perspectives. The Cuban health care system, considered exemplary in global health and mental health (Cloninger et al. Int J Pers Cent Med, 4(2), 69–89, 2014; Shapiro and Louro Bernal. Global mental health, 2014), has influenced this chapter’s perspective on family-centered integrative care for Cuban American families. Further, the Cuban health care system informs the knowledge of health systems and personal choices of many Cuban families who are increasingly transnational as the ability to visit Cuba and maintain family ties has grown with increased political engagement between the two countries. Brown, A., & Patten, E. (2013). Hispanics of Cuban origin in the United States, 2011. Retrieved from http://www.pewhispanic.org/2013/06/19/hispanics-of-cuban-origin-in-the-united-states-2011/. Gomez, M. (2016). Cuban American activists connecting to Cuba: Enduring impacts on U.S. Cuba relations. Presentation at the opening of the University of Massachusetts Boston, Movement in support of Cuba by members of the Cuban diaspora in the US, Puerto Rico & other countries (1960s–1990s), Archive collection, Healey Library. Retrieved March 23, 2016, from http://openarchives.umb.edu/cdm/landingpage/collection/p15774coll35. Helft, M. (2015). No internet? No problem. Inside Cuba’s tech revolution. Forbes/Tech, July 1. Retrieved March 20, 2016, from http://www.forbes.com/sites/miguelhelft/2015/07/01/no-internet-no-problem-inside-cubas-tech-revolution/#660cb59a76c7.